In large pot, saute finely chopped onions in 1/2 cup of olive oil until brown. Stir in 1 cup of finely chopped parley and sprig of basil. Add 4 cloves of finely chopped garlic. Add chopped mushrooms. (Optional) Continue to brown. I usually stir while thinking of my grandmother’s until everything gets nice and brown and the bottom of the pan becomes crusted. I remember my Southern grandmother stirring a pot of gravy, no matter what else she was preparing for dinner. My northern grandmother only made gravy for our Sunday dinners and didn’t serve it with everything we ate. The northern gravy is brown while the Southern is red. And never the two shall meet. At least that was what my southern grandfather said when my mother and father first married. He wouldn’t accept my mother, who is from Northern Italy until she brought home a baby boy. Fortunately, my brother was the first born. Add any leftover pieces of chicken, beef or pork. Add juice from one lemon. Spice to taste with: Salt, pepper. Dash of red pepper for a bite. Equal parts (estimate of two teaspoons) of cinnamon, allspice, nutmeg. A dash of sugar. Three bay leaves. Bring gravy to a soft boil, then turn down heat and let simmer with cover off until the gravy begins to thicken. Cover and cook on lowest heat for at least a half hour or longer if you have time. Stir occasionally to keep bottom from burning. 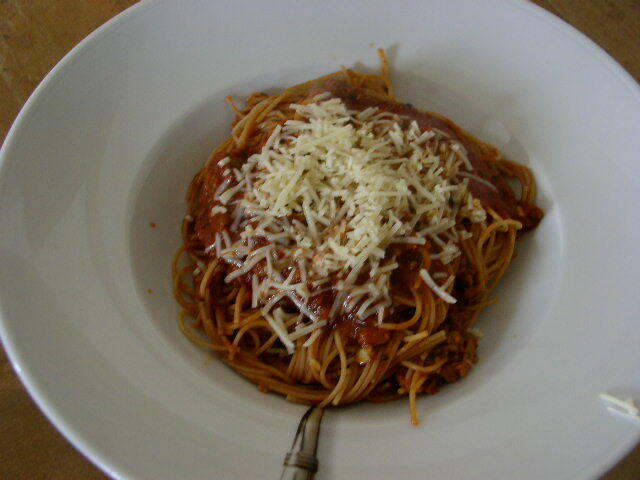 Add Parmesan cheese just before serving. I usually serve this meatless gravy with a Rigatoni noodle to hold the sauce and serve additional Parmesan cheese on the side. If you freeze left-over gravy, use glass jars to keep the gravy from becoming watery. I’ve had her gravy. I’m her sister. It’s delicious. 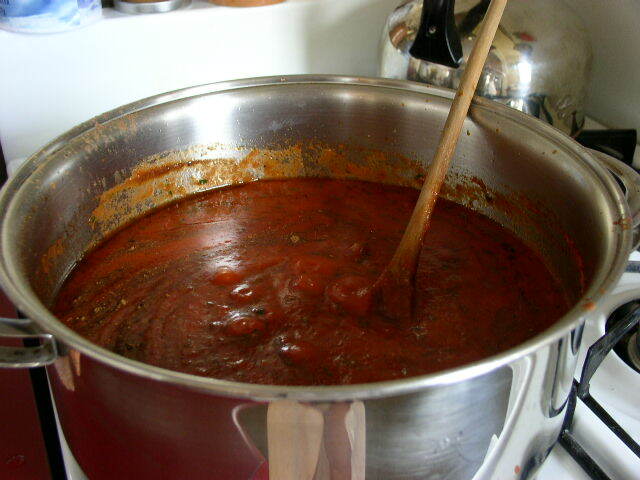 By the way, “gravy” is what we Italians from Chicago area (and other places, I imagine) call red sauce. My mouth WATERS. I’ve been privileged to enjoy this sauce, prepared by Betty’s sister Nikki, many times over the years. It’s simply the BEST. Mama Mia! I have been wanting this recipe for a long, long time! Thanks so much sharing your family recipe Betty. Wow,that looks soooooo good! I can’t wait to try it!! Thanks so much for sharing. Thanks for your interest. I hope to continue working on this site in the near future. was born into an Italian family in Cicero, Illinois. After a lot of rabble-rousing and kid-raising, she now writes books and cooks up mischief and good food in St. Paul, Minnesota. I spent a month in two small villages working in the schools in Kenya. To read more about my adventure and to see how you can help bring clean water to the schools, watch this space for stories and ways to help.